Bridge across Rio Grande, New Mexico (Infrared) ©2016 James D Peterson. 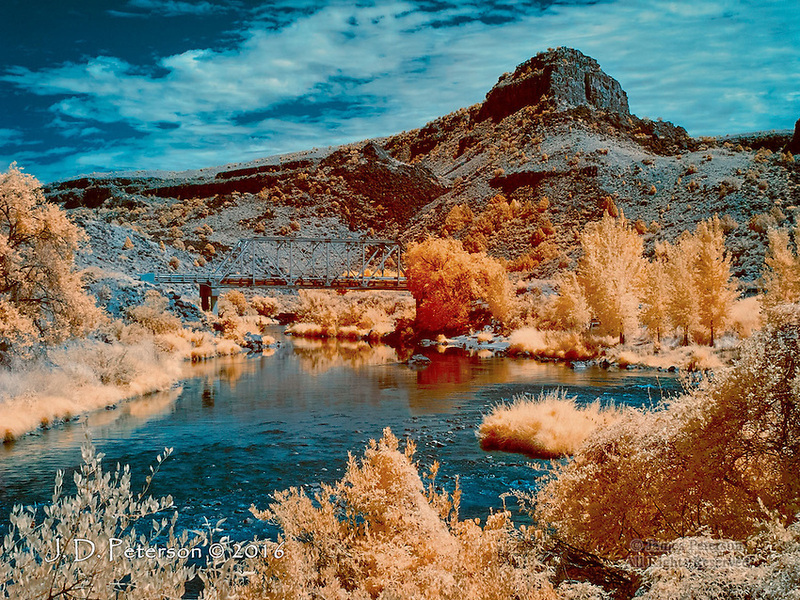 A sunny summer day and a classic New Mexico landscape come alive in the fanciful colors of an infrared image. This scene, near Taos, is part of the Rio Grande del Norte National Monument.